P.J. 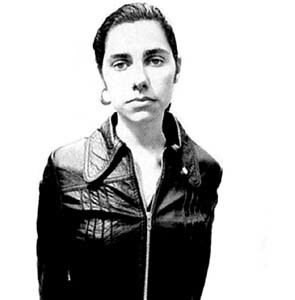 Party: Polly Jean Harvey is a coup for the Catalyst. It's almost impossible to believe that our town--and the Catalyst, to be exact--will be hosting two of this planet's most incredible female rock performers on two consecutive nights at the end of August. But there they are on the website, PJ Harvey and Patti Smith, scheduled to perform on Aug. 20 and 21--one of the most electrifying performers ever to grow up on a goat farm in England, and one of the who's who of the New York punk scene's Trasherati, respectively. The most enigmatic glamour queen anarchist and the avantest of the guard poets ever to sleep with all your punk rock heroes. So, what confluence of cosmic events does this possibly portend for Santa Cruz? Well, considering that Santa Cruz has an unusually high density of citizens whose lives were saved by rock & roll, it simply means that things will be as they should be in a way that they usually aren't. No pointing of fingers going on here, just statement of fact born of certain space-time constraints, for which we might consider ourselves blessed, for the everyday appearance of such a dynamic one-two punch of performers would only decrease the drama, which is sure to fill the streets of our burg at a steadily rising pitch, culminating in one of the greatest rock & roll catharses this town has ever seen. This is all just speculation of course, engendered by a mind (my own) never before prone to fits of psychic prediction. No matter, for prophesies are nothing if not self-fulfilling, and so these words fly out into space with the force of a snowflake, yet powered by the intention of a snowball the size of Uranus, a planet-size blast of momentum sucking hundreds of souls into its hulking mass, barreling toward two dates with destiny, willing you with all her power to come. Harvey has just released her album, Uh Huh Her, a bit of a return to her raw, dark stomping ground after the slicker Stories From the City, Stories From the Sea. Smith's new record Trampin' is being called a Horses for the 21st century, the reference of course being to the incredible 1975 album that sealed her reputation as the foremost poet of the punk age. Did we mention you need to get tickets right away? From the July 28-August 4, 2004 issue of Metro Santa Cruz.